Ralph Aversa serves as President of Oakwood Cemetery. He also serves as Oakwood’s Treasurer. In addition Aversa is also the Project Manager for Oakwood’s $425k+ Crematory Project expected to break ground sometime in May. 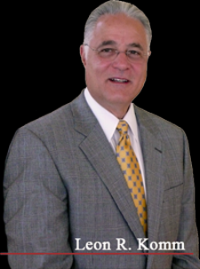 Aversa is retired from KeyBank,N.A. where he served as a Banking Officer, Appraiser and Sr. Loan Officer in Key’s Community Development Banking Department. 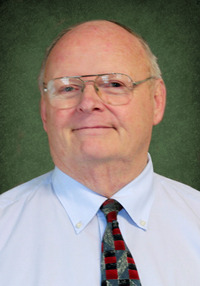 He is also retired from The City of Niagara Falls having served two terms on the City Council as well as Director of the Department of Water Facilities. In addition he also served as Executive Director of the NFC Development Corporation and Sr. Business Officer of the Niagara Falls Urban Renewal Agency serving in total five Mayors dating back to the Late Mayor Michael C. O’Laughlin. He is married to the former Rachele Satarian, the father of four and grandfather of six. Audrey M. (Young) Zygand was born August 2,1962. She is the oldest child of Michael L. and Audrey M. Young and has two siblings. She is married to Keith C. Zygand they have one son. Audrey attended LaSalle Senior High School , Sunstate Academy of Hair Design in Fort Myers, Florida and along with her husband and son owned and operated a Barbershop in Fort Myers from 1999-2008. Returning home to Niagara Falls, attended NCCC 2011 for Medical Billing degree. Audrey is a lifetime member of St. Peter’s Episcopal Church, was in the church choir as a youth and is past church secretary and vestry member. In 1980 was Installed as Beloved Queen of Niagara River Triangle #120 at the Masonic Lodge on South Avenue. Audrey has 4 Generations of the Transportation Business starting in the late 1800’s , her Great, Great, Great Grandfather started William Young Transportation in Niagara Falls. Her family members which include William and his wife Emma and a few other family members are in the Mausoleum and buried throughout Oakwood , Her husband’s family are also in Oakwood. She resides in the Niagara Falls area.